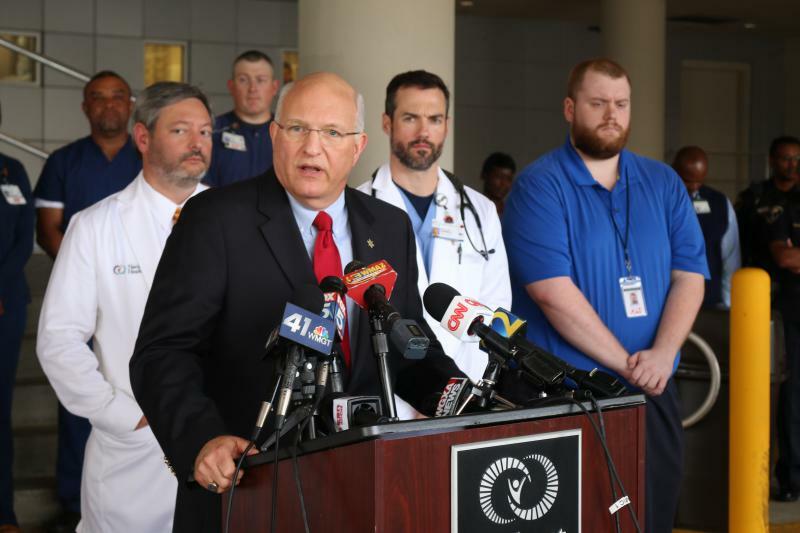 Over the last two days hospitals in Central Georgia have seen a sharp increase in suspected opiate overdoses. At least 12 people have been brought in for treatment and four have died. Dr. Chris Hendry is the Chief Medical Officer with Navicent Health in Macon. He said this is a new drug. "It's being sold on the street as Percocet," Hendry said. "However, when it's taken the patients suffer significant and severe decreased levels of consciousness and respiratory failure." Hendry says the yellow pill takes effect very quickly and requires massive doses of the opiate neutralizing drug Narcan to treat. Officials say they are waiting on toxicology reports to find out what they are dealing with. Bibb County Sheriff David Davis says anyone providing information will not be prosecuted. "We need to know who's putting this poison in our community," said Davis.